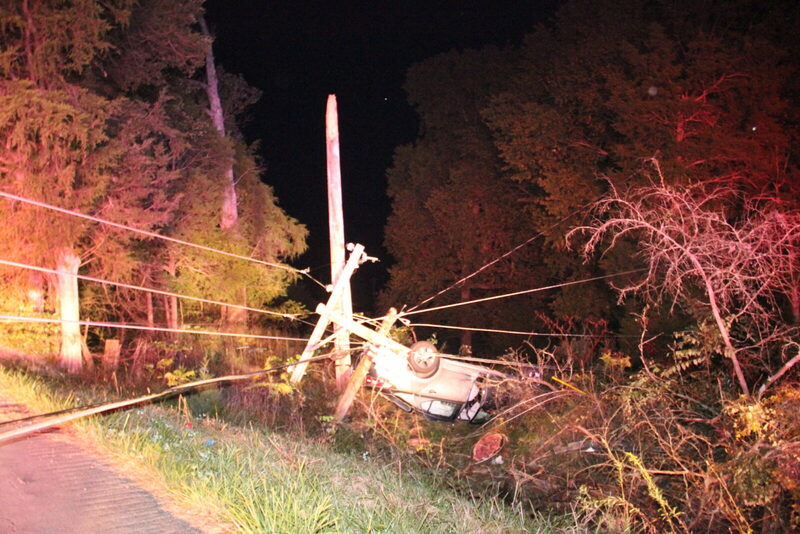 The Adair County Sheriff’s Department is investigating a single vehicle accident that occurred Saturday night when a vehicle occupied by two Lindsey Wilson College students fell off the shoulder and left Bull Run Road before overturning and subsequently knocking down a utility pole. Just after the collision, multiple power lines were knocked down stretching across the vehicle and Bull Run Road, stopping traffic temporarily. The accident occurred when a 2015 Kia operated by 18-year-old James Tyler Watt of Boston along with a passenger 17-year-old Aaron Hall of Leitchfield failed to negotiate a curve while passing Dwight Curry Road on Bull Run Road. Their vehicle dropped off the shoulder of the road and struck a tree. The vehicle traveled up the tree and then struck a utility pole. The vehicle then came to rest on its top with power lines and a transformer on the vehicle. Two ambulances from Adair County EMS responded and treated both patients on the scene. Patients were then transported to T.J. Health of Columbia. James Tyler Watt was flown to University Of Louisville Hospital and Aaron Hall was treated at T.J. Health Columbia. There was a power outage for several hours as crews from Taylor County RECC worked to restore power to customers within the area. Sheriff’s Deputy Brandon Hitch is investigating the accident with assistance from Deputy Joey Keith, Columbia Police Department and Adair Search and Rescue.